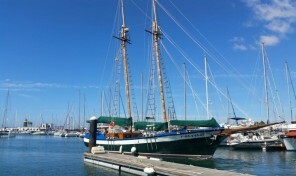 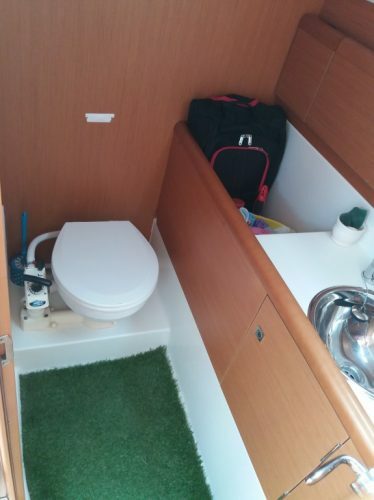 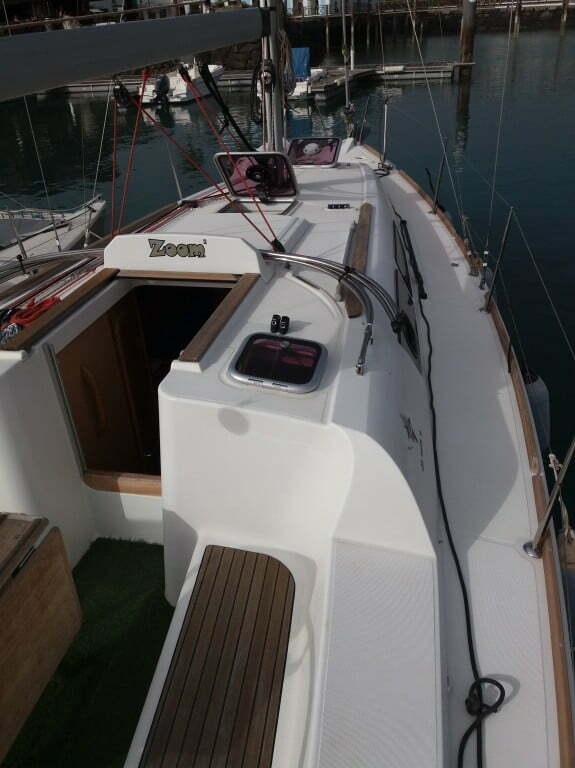 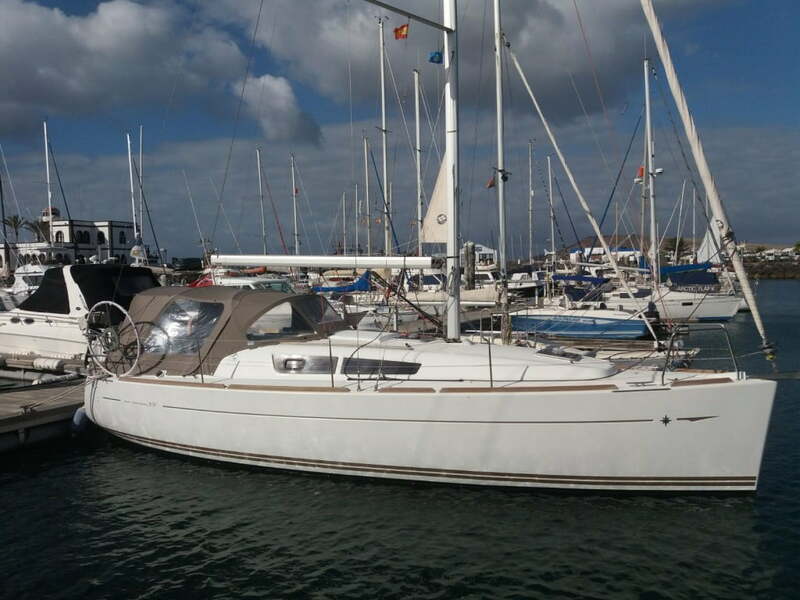 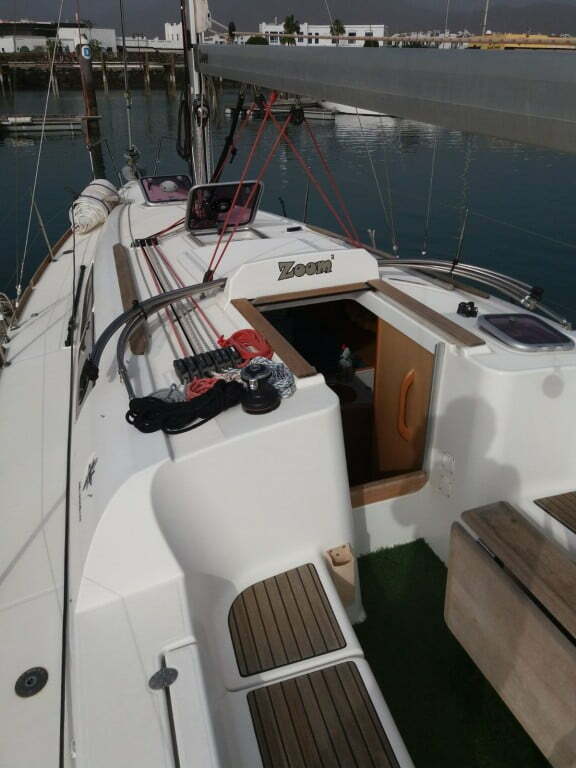 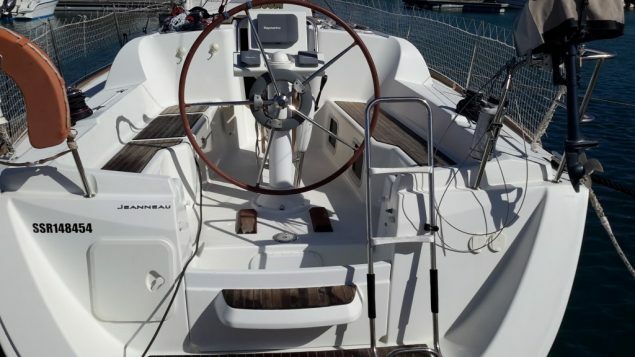 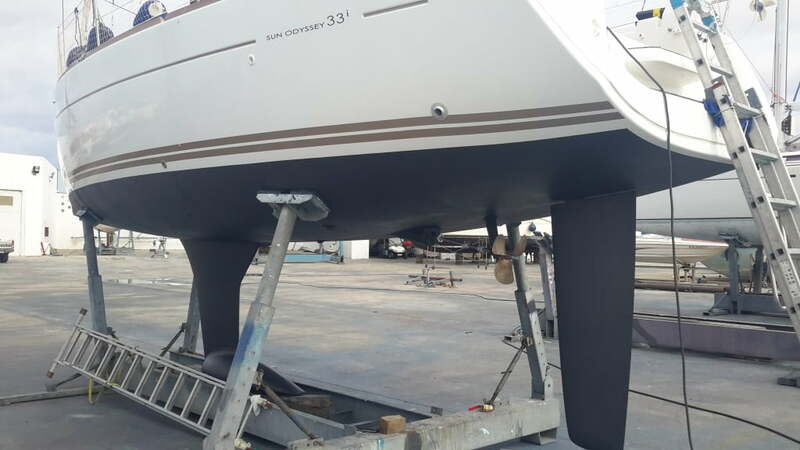 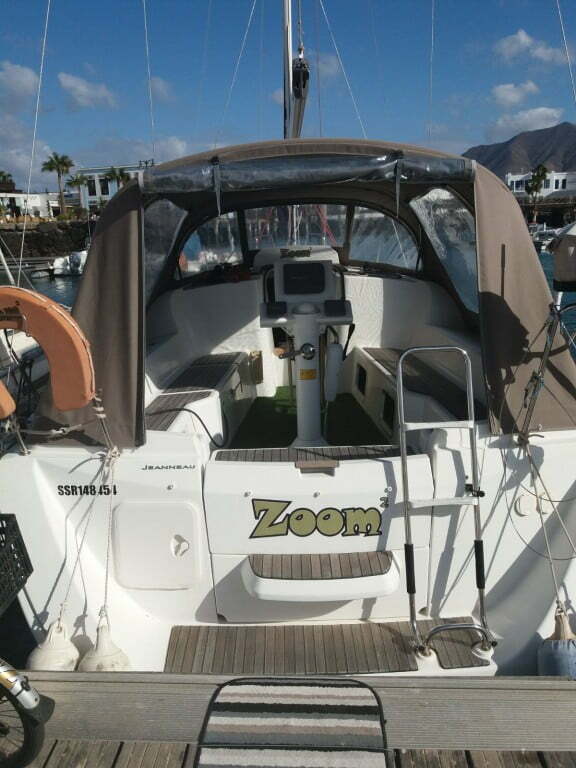 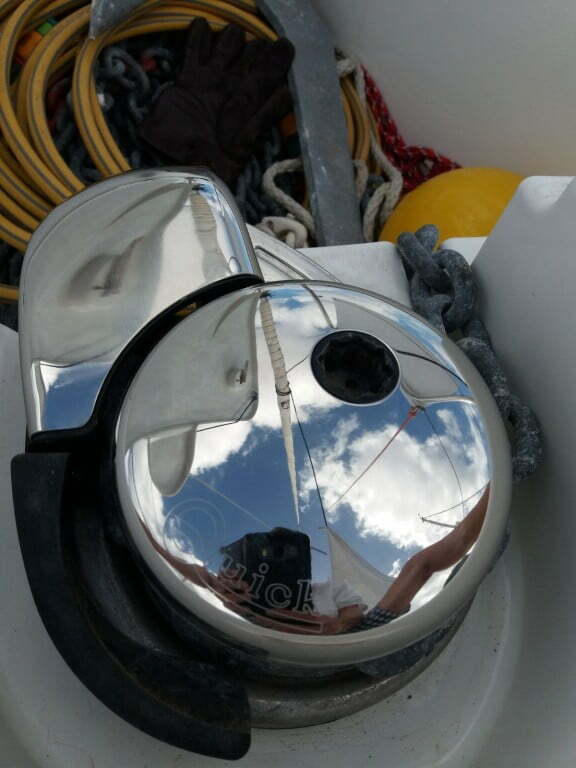 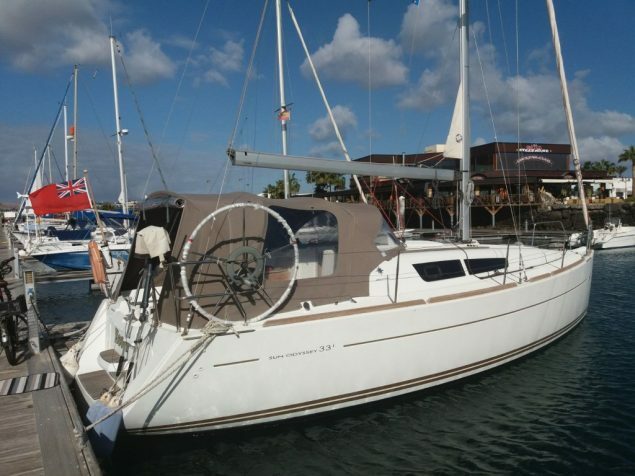 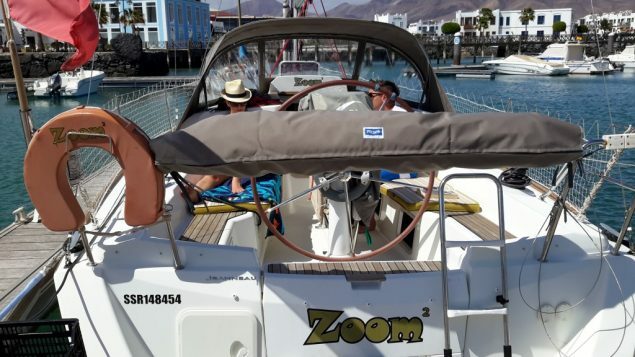 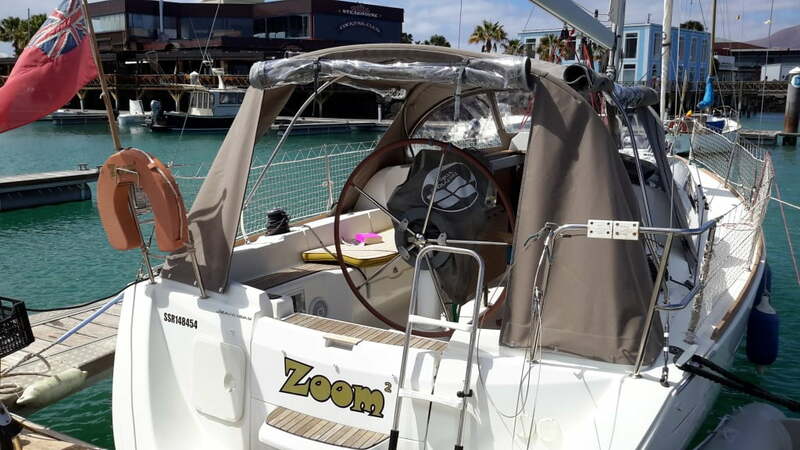 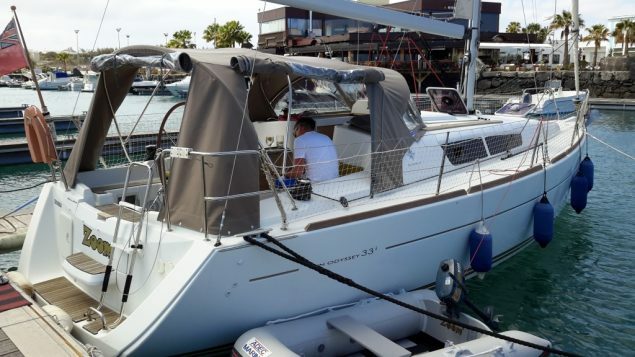 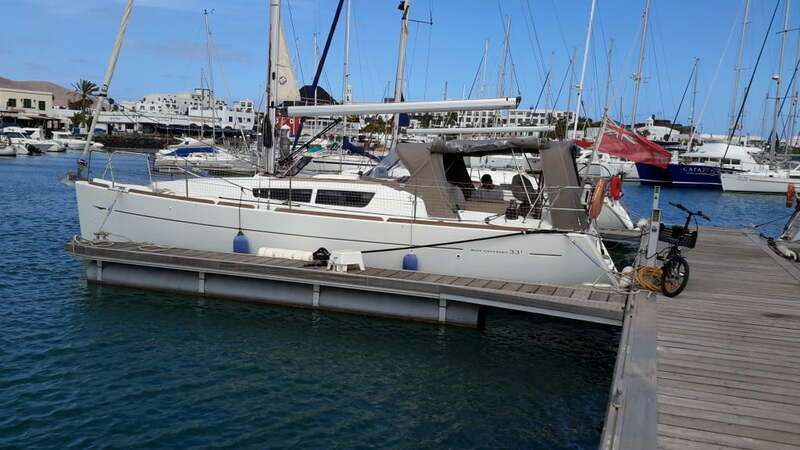 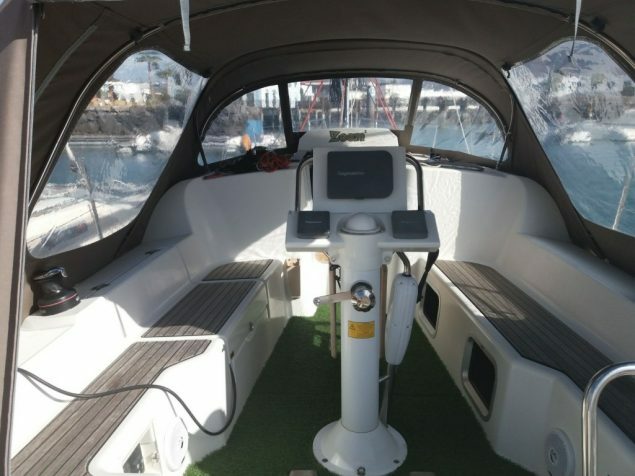 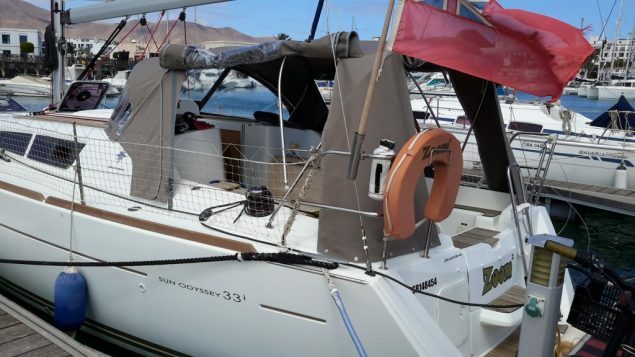 “Zoom was delivered new from France directly to Lanzarote and she has enjoyed probably the best marina in the Canary islands where sailing in the sun is possible 365 days a year. 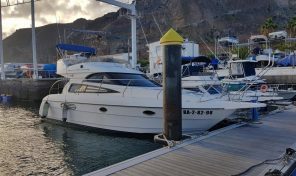 This is without doubt a lifestyle opportunity to spend the cold and dark winters of the UK in this beautiful location where marina fees are just over £2,200 per year. Zoom has been used very little with less than 150 engine hrs. 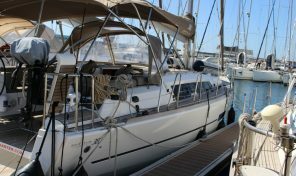 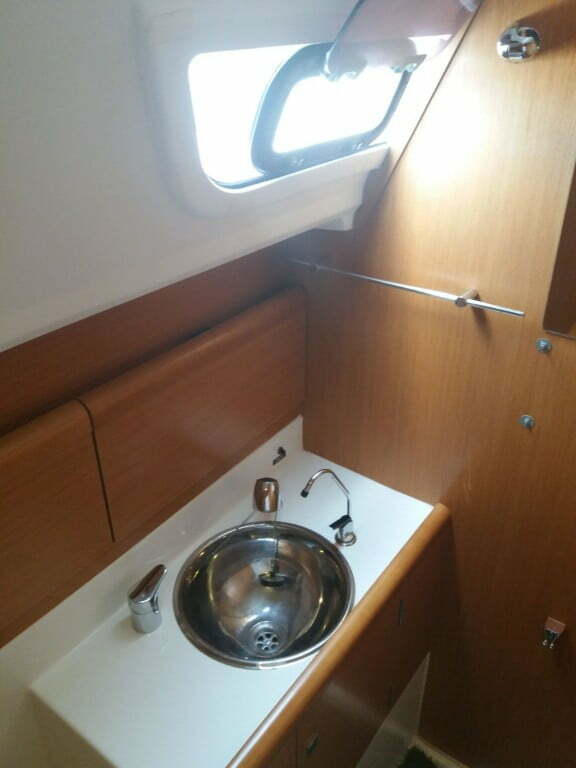 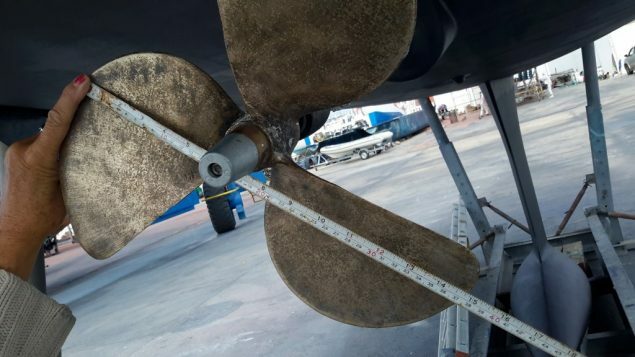 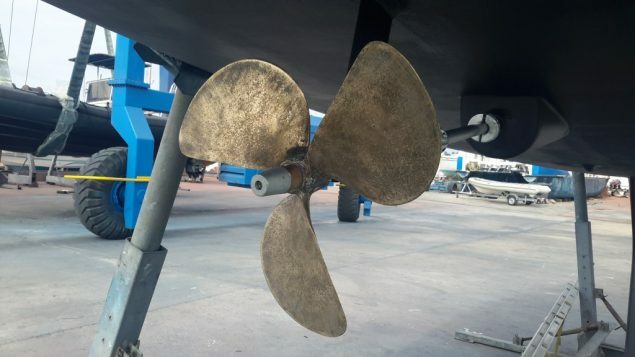 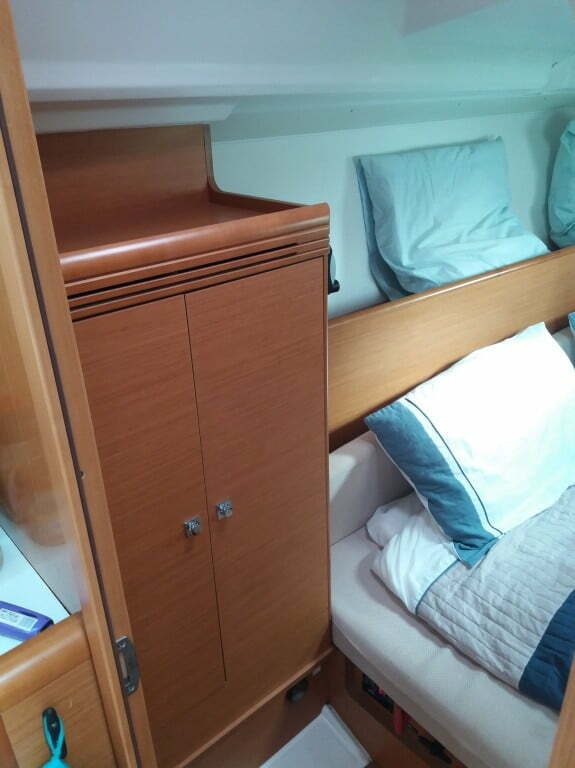 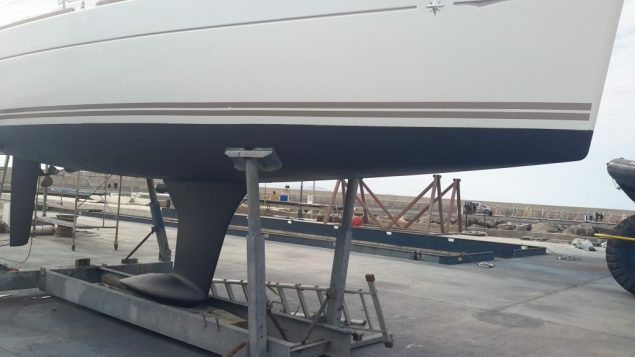 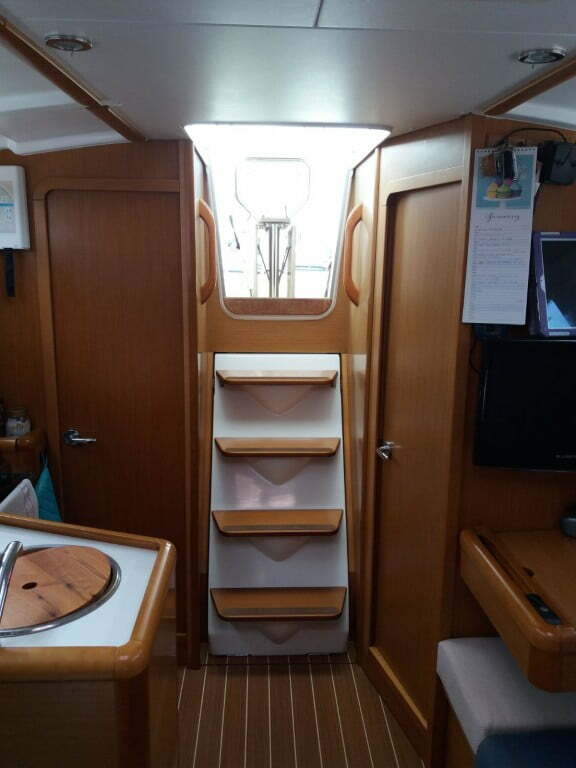 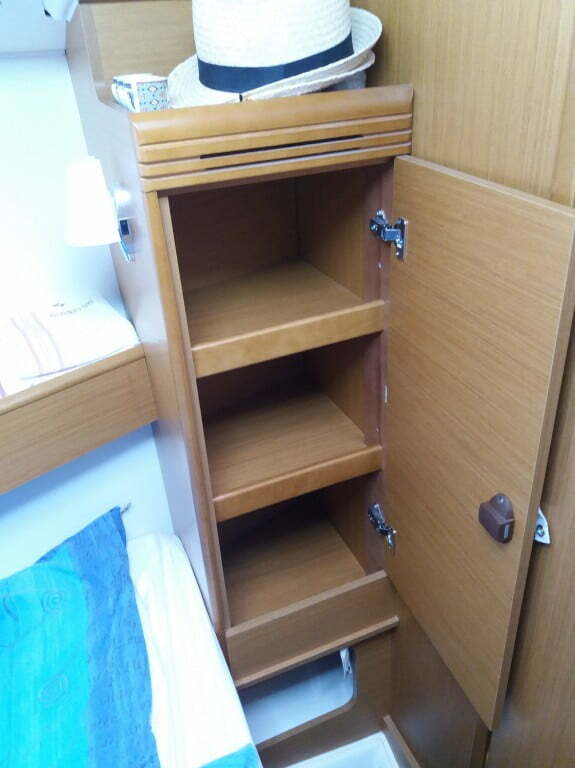 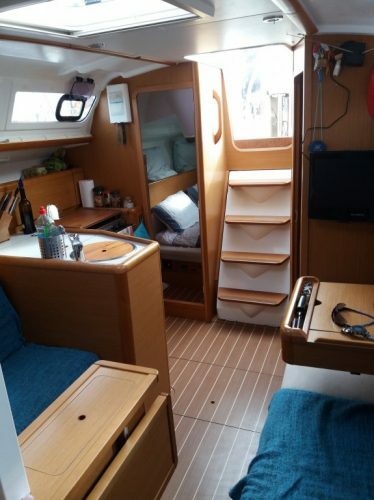 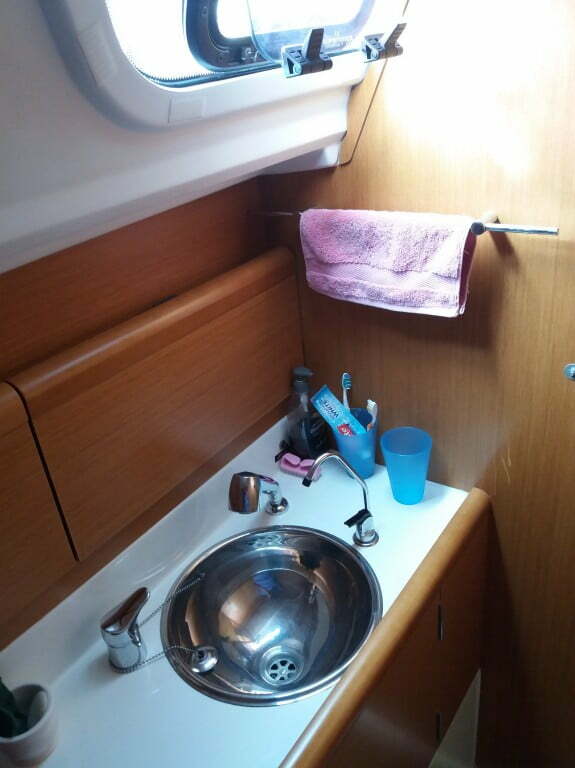 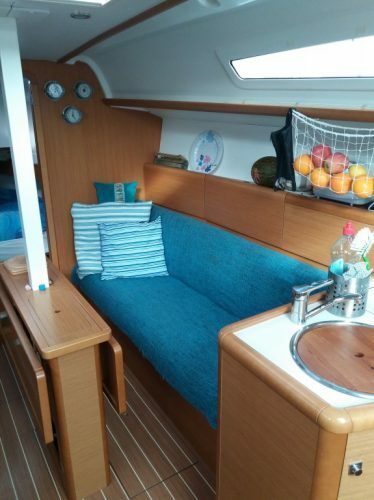 She has been meticulously maintained with regular lifts in the superb boat yard. 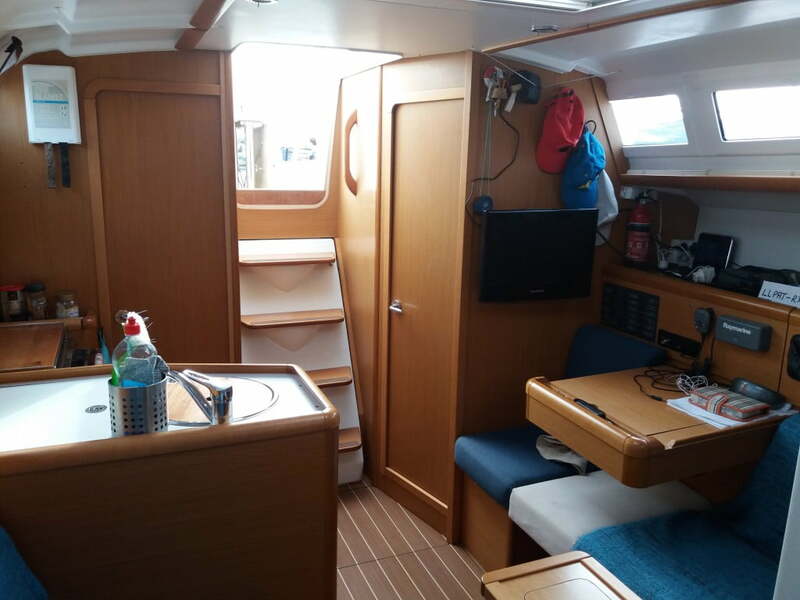 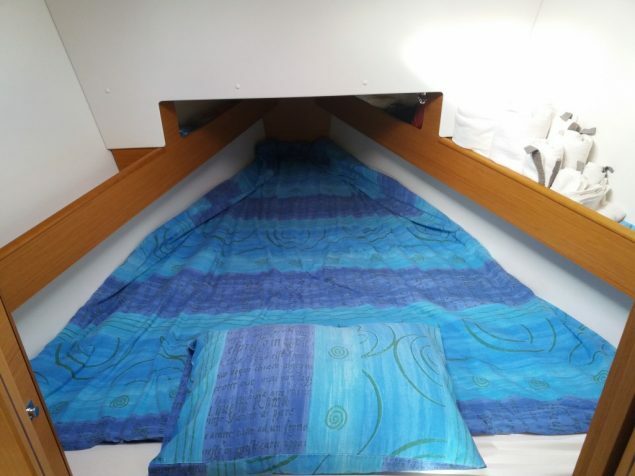 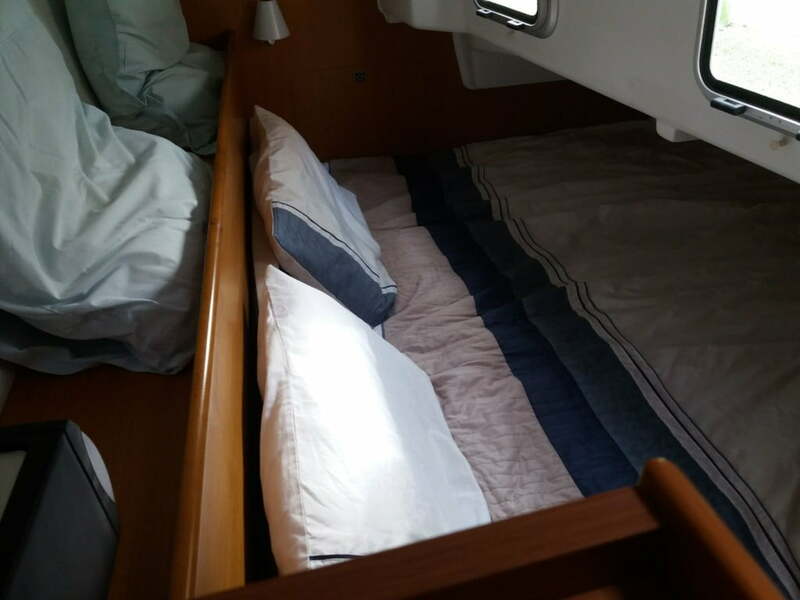 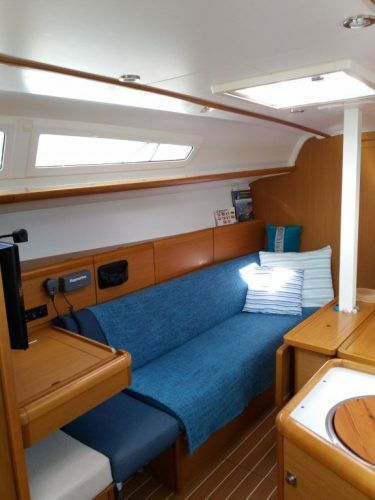 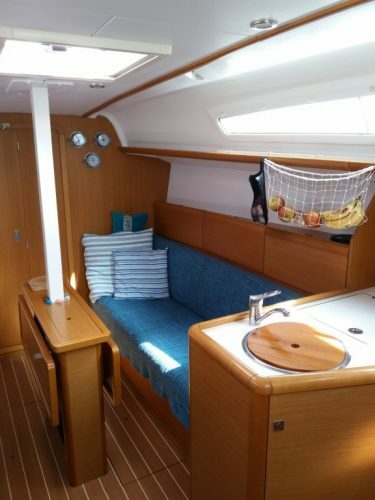 She has been fitted with a Tecsew full sprayhood and canopy to give extra living space with a hi spec windless to spend those lazy days at anchor overlooking the beautiful Papagayo Beaches”.